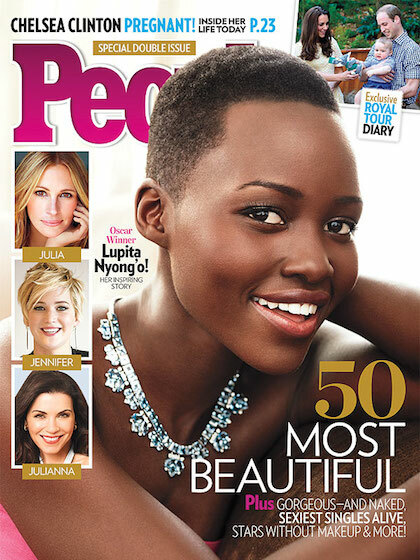 Lupita Nyong’o, the 31-year-old Oscar winning actress, has been named People’s Most Beautiful person. And since we know no one will disagree with that, what else do you want to discuss today? Seriously, she’s gorgeous. Nyong’o described the Most Beautiful honor as “exciting” and a “major accomplishment,” because “I was happy for all the girls who would see me on [the cover] and feel a little more seen.” This woman is fantastic. People’s Most Beautiful issue hits newsstands April 25.